Buying or Selling. You will have questions, we’ll have answers. Cyprus Resales – an award-winning registered and licensed real estate agency in Paphos region of Cyprus, with offices in Moscow and St. Petersburg in the Russian Federation. Our head office at 7 Tombs of the Kings Ave. is the largest and most visible high-street office in Paphos. Our Polis office at 1 Arsioin street is the most prominent agency in Polis/Latchi area. 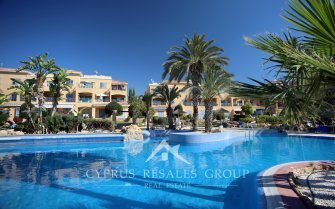 Set your property apart with an exclusive resale listing with Cyprus Resales. 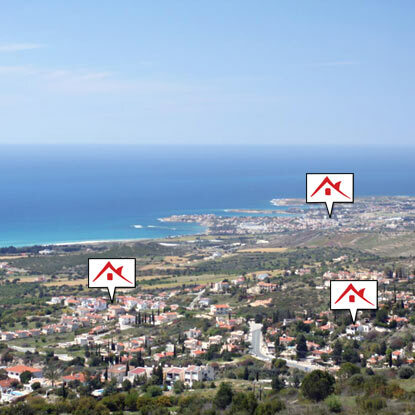 Get your property sold as soon as possible with the market leader for resale property in Cyprus. 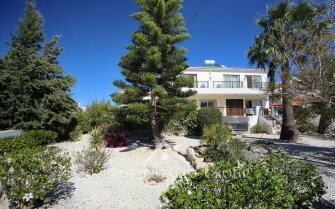 Cyprus Resales are the only estate agents in Paphos you will ever need. We sell over 90% of our listings within the term of our exclusive sole agent agreement. With the best websites, advertising and the biggest most visible high-street office you can be sure we make your property visible to every potential buyer. Our real estate agency was formed in 2009. We are registered, licensed and fully insured real estate agents in Cyprus. Our directors are experienced in Cypriot, British and Russian real estate markets and benefit from previous experience with large Cypriot development companies. It is now that we concentrate fully on the resale market with properties coming direct from the owners. Our Cypriot office is the largest and most visible estate agents office in Paphos; located at 7, Tombs of the Kings Avenue close to Kings Avenue Mall no buyer or seller can miss us. The purchase of any property is one of the biggest decisions of your life. When the purchase is made abroad the need for a professional local estate agency is essential. 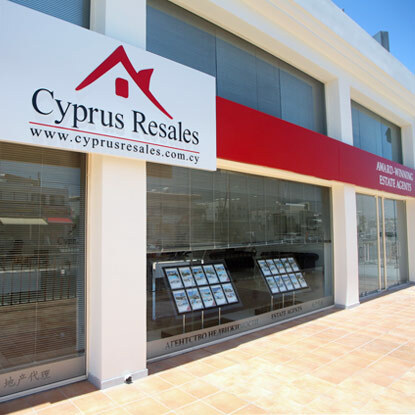 At Cyprus Resales our aim is to help you get it right first time and avoid the pitfalls that have affected many buyers of Cypriot property during the boom times. You can rest safe in the knowledge that we have done our homework on every property we list. In fact, we only list 20% or so of the properties we are offered. The rest are falling by the wayside when missing one or more of our key indicators where it may be price, lack of title deed, developers’ mortgages and loans or simply lacking the standards we expect from our properties. We don’t want to waste our own time and we certainly do not want to waste yours by showing you reams of properties that don’t match your criteria or fall foul of our listing standards. Our aim is to bring the very best property in Cyprus to the biggest possible audience. Our award-winning website is not only the best in Cyprus it is also easy to find in Google, Yandex, Bing and Yahoo. Mobile computing with smart phones and tablets is now all the rage and we have an excellent app for both Google’s Android and for Apple IOS while also providing users with full mobile site in both English and Russian. We communicate with buyers in their language. Our British, Russian and Cypriot directors are proactive people with property sales experience collectively gained over 60 years. Based on experience from working with major Cypriot developers and dealing with off plan property sales our business has developed into an art of real estate agency dealing exclusively with resale properties direct from the private owners. 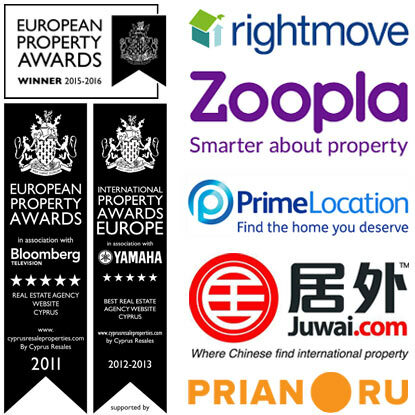 Cyprus Resales don’t just wait for the elusive customer to walk into our offices; we advertise your property worldwide on our own award winning website and with top foreign property portals like Rightmove.co.uk, Zagrandom.ru and Prian.ru. 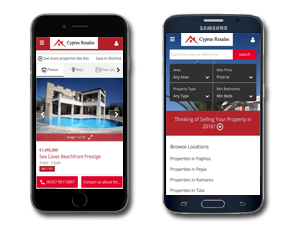 Voted the best real estate website in 2011, 2012,2013,2015 and 2016 by the panel of judges at the European property awards we aim to bring you the whole picture of Cyprus properties. With many unique features including high resolution galleries, virtual tours, custom search and compare pages, we have raised the bar for real estate agency websites in Cyprus to an all new level. Class leading photography and descriptions help give you a strong feel for the property, while area galleries help you get the vibes for the location where you plan to buy. Our news pages are being read worldwide; people appreciate our sharp insightful comments on matters related to property. Our general information pages aim to provide answers to your questions online. Here you will find great tips on how to do everything from buying or importing a car to Cyprus to which beach is closest to your prospective purchase. Users of mobile devices are catered for with a fully featured mobile site that makes the most of touch screen computing. Our directors know every vendor by name and have valued and assessed all properties before listing. Obtaining a listing with us can be tough, but it’s well worth it. With Cyprus Resales you know you have the best estate agents in Cyprus dedicated to your property. We limit our listings to only to the best, ignoring the vast amount of substandard properties available for sale in Cyprus. At Cyprus Resales we do our homework to ensure that nothing can stand in the way of sale. Every one of our vendors knows that once listed no estate agency in Cyprus will do more or present their home better to international property purchasers. We don’t deal with developers or middle men, but pass on the savings directly to you. Full real estate agency services from a registered and licensed estate agent in Cyprus. Exclusive listings in all the best developments in Paphos all with title deeds. We guarantee security of all property transactions. We expect all our colleagues to keep up to our high standards and we recommend only fast efficient and honest legal partners. Cyprus Resales provides assistance with bank loan arrangements; we follow up the application until we secure the approval of the bank. Minimal down payment of 30%. Interest rate varies depending on the currency, specific bank and Euribor. Please contact us for the latest news on loans and mortgages in Cyprus. Cyprus Resales provides assistance with arrangements of the after sale’s services, including gardeners, pool cleaning, plumbing, carpentry, electrics etc. Advice and assistance with car purchase and hire, furnishing of your new home, rental of your home. Advice and assistance of choosing the right school for your children. With years of living and working in Cyprus we are happy to give you the benefit our expertise.